Students at Clemson University purported to perform a "live bloodletting and lamb sacrifice" ceremony Saturday involving the burning of Bibles to "commemorate" a new chapel on the campus, according to reports. A group of students at the university in South Carolina, who call themselves the Clemson Unorthodox Neo-Satanic Temple and use the acronym C.U.N.T., advertised the event on a flier, inviting students to join them for the "ceremony" but without mentioning any location inside the campus or any contact information. The flier carried satanic images including pentagrams and goat skulls and listed activities that would be performed, such as a "Bible torching ceremony" with a $25 prize for the "C.U.N.T. sucker" who brings in the most Bibles and a "Pentagram completion event" intended to "summon Baphomet to celebrate the new Clemson Chapel," according to the college news website Campus Reform. The flyer claimed that the Clemson Collegiate Farm Bureau will provide the lamb. However, the Bureau's Director of College Relations Kirby Player denied the claim, saying the Bureau would "absolutely not" be providing any animals for ritual slaughter, Campus Reform said. 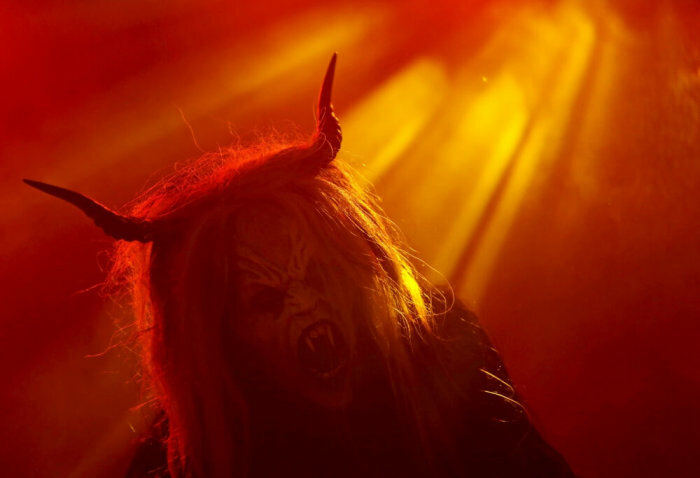 Students took to social media to express outrage over the Satanic ceremony. "I ain't trying to be nowhere near Clemson this weekend," reads one of the tweets. "I knew I chose the wrong school," said another. The Cadden Chapel on the campus is named after a student, Samuel J. Cadden, who died in an automobile accident in 2015. The names of over 600 students who passed away before graduating will also be engraved at the chapel as a tribute, according to Blacklisted News. The $6 million chapel will be open to students of all or no religious beliefs for meditation and reflection, and will also function as a wedding or funeral venue on campus, seating up to 150 people. Satanic activists being on campuses is not uncommon. Last March, Colorado's Delta County School District said administration policies don't allow it to prevent atheist groups from carrying on with their plan to place secular and satanic literature in school libraries. The Western Colorado Atheists and Freethinkers and the Freedom From Religion Foundation placed their literature on a table in middle school and high school libraries, in response to the distribution of Gideon Bibles at the schools. "Elves, unicorns, gods, leprechauns, angels, fairies, ghosts, Santa Claus, the tooth fairy. … All of these mythological creatures have served a function in the human mind," read a brochure. "Gods were invented to explain natural phenomenon, like thunder and lightening. … They teach children that Jesus Christ was nailed to a cross because of 'your sins and deceitful heart.' These programs are designed to shame and terrify children into submission and silence, and teach them not to ask questions…" they claimed.